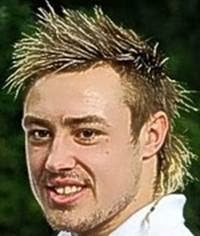 Hi, me again, Jack Nowell's barnet. Young Jack's been spouting of this week about those pesky Welshies. They hate us English, he says, and we don't care. Stuff and nonsense, of course. It's not hatred, I keep telling him, they're just all insanely jealous of my beautiful magnificence. After all, just look at the Wales team. Barely a hairstyle amongst the lot of 'em. And no, I don't count the Adam Jones bubble perm as a bona fide hairstyle and nor do I acknowledge that looking like a fat Robbie Savage counts either. Yes, I'm looking at you Hibbard. No, there's no hairstyle in in the Welsh line up that comes close to my lavish munificence, so no wonder they're green with envy. All I ask is that once, just this once, I be set free from my sweaty imprisonment within that stinking hell hole of a scrum cap.